Top 10 The OC Stars: Where Are They Now? My top 10 Seth and Summer moments. Your favorite? 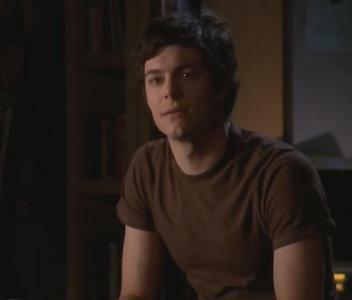 MY TOP 5 ; Seth Cohen. You like best? MY TOP 5 ; Ryan Atwood. You like best? So alot of the cast have Twitter pages and I have made an article so you can follow them! Seth: Over-exposure, its a major source of conflict in a relationship. Summerith, Sethimer? You understand what I'm saying? Marissa pulled into the trailer park, her rims still spinning long after the car was parked. Marissa opened the door, and flinched as it creaked open, hoping her mom wasn’t home. She stepped into the small, cramped kitchen. Marissa placed her cell phone on the kitchen counter just as something moved behind her. “Marissa?” a female voice called from the even smaller and more cramped living room. Volchek got up, running a hand over his head and opened the door. Revealing a group of dingy looking guys, holding a couple packs of beer and cigarettes. It's been ten years since the end of the show that changed television forever. a comment was made to the poll: 4 of my favorite characters (besides the 4 main characters). Who is your favorite out of these? Who is Seth looking at?